TACOMA — They argued Friday night. They argued again Saturday morning. That’s what they do. They’re brothers. They also happen to be brothers who play for Hockinson football. So they win together, as well. Senior Aidan Mallory had another huge play in a state championship game, and his freshman brother, Liam Mallory, had two big moments in his first game on this stage. 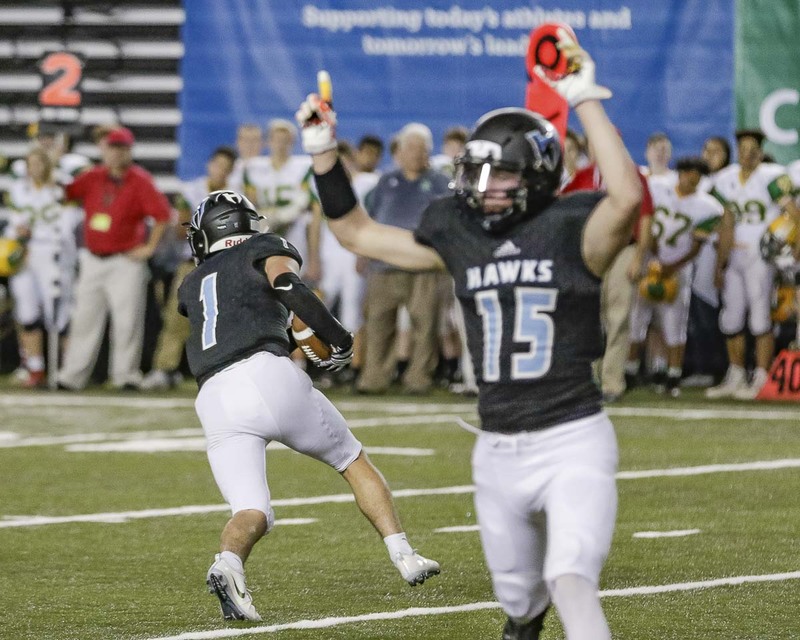 By Saturday afternoon in the Tacoma Dome, they could not even remember all the details regarding what they were fighting about prior to the Class 2A state championship football game. “I forgave him and said I was sorry,” Liam said. “I like him a lot better now,” Aidan said. Winning makes everyone feel better. The Hawks rallied to beat Lynden 42-37 for their second consecutive state title. “I can’t tell you how many people who have done that. Nobody I know,” Aidan Mallory said. Nobody from Clark County, at least. 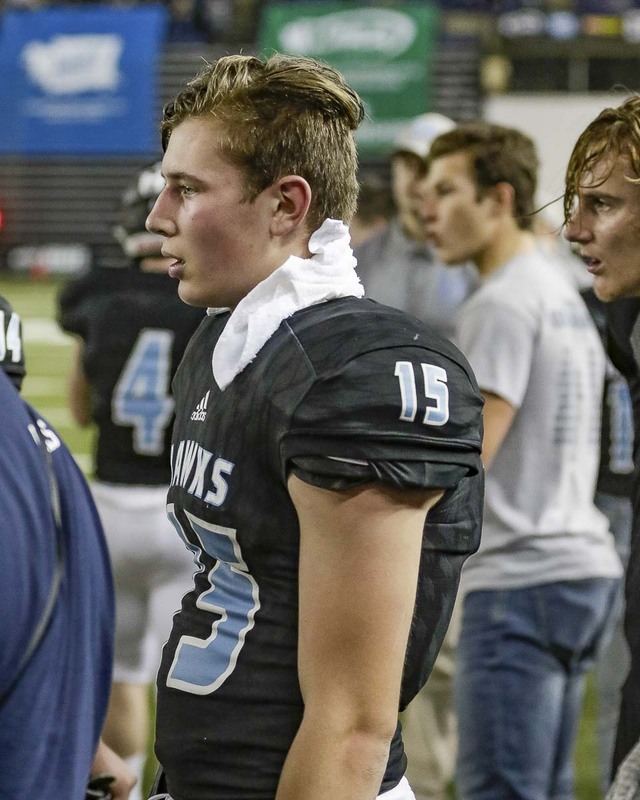 Hockinson became the first team from the county to repeat as football champions. The Mallory family is a big reason for those titles. Aidan returned an interception for a touchdown in last year’s title game. 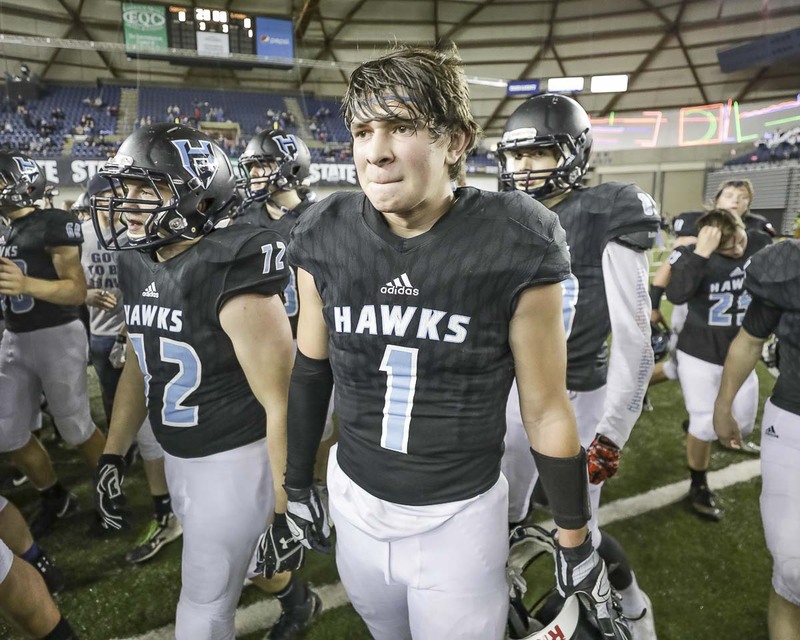 This year, he had the interception and return that led to Hockinson taking its first lead of the game. This was No. 2, but No. 1 in terms of importance. Playing safety in the championship game, with Lynden leading 24-21, Mallory was, indeed, challenged. He jumped high to intercept a pass on the first play of the fourth quarter, retuning this one 30 yards. A minute later, the Hawks took a 28-24 lead. Lynden would take the lead again, meaning Hockinson had to rally again. This time, younger brother made a big play. A penalty made it second-and-long for the Hawks, but Liam Mallory caught his second plass of the day for a first down. The drive extended, Hockinson would regain the lead a few minutes later. 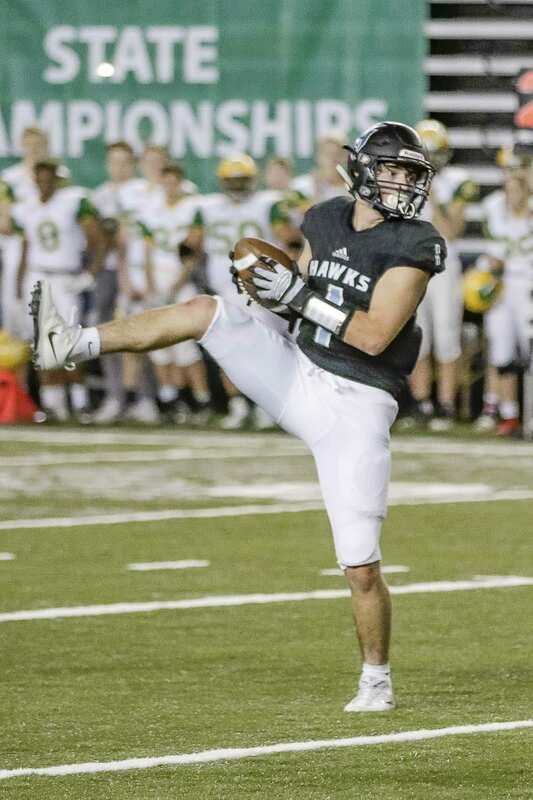 Earlier in the game, when the Hawks trailed by 17, Liam Mallory had the play of his career — OK, he’s only a freshman, but still — when he caught a 19-yard pass on a fourth-and-10 play. That put Hockinson on the Lynden 4-yard line. The Hawks scored on the next play, making it 24-14. The comeback had started. “Don’t drop it,” Liam remembered thinking of Levi Crum’s pass to him. Aidan Mallory is thrilled to be part of winning back-to-back titles. This one is a little extra special. Aidan and Liam Mallory will argue from time to time. But they also will remember this day for all time.